Beni Hammad Fort or the Al Qal’a of Beni Hammad, the fortified palatine city, is located near the Maadid (Maadhid) town, around 225km south-east from Algiers, Maghreb in Algeria. 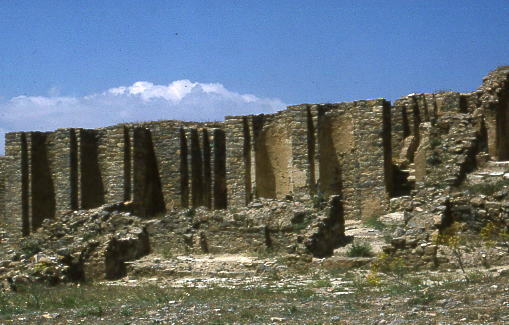 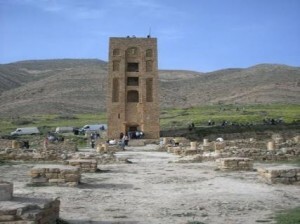 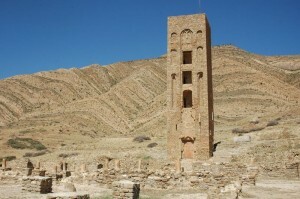 Currently reduced to ruins, the fort city was the capital of the rulers of the Hammadid dynasty. 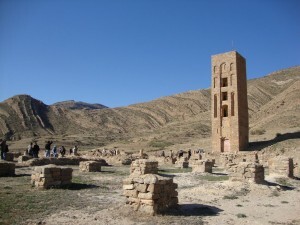 It is Situated 1,418 meters above sea level, in the mountains, north-east of M’Sila. The Beni Hammad Fort was designated a UNESCO World Heritage Site in 1980. 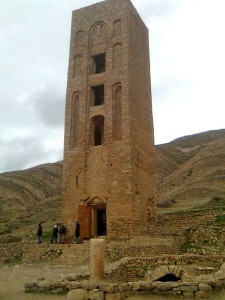 The fort was built by Hammad ibn Buluggin, the first Hammad ruler and the son of Buluggin ibn Ziri Menad Abu Ziri, founder of the Algiers, in the ear 1007. 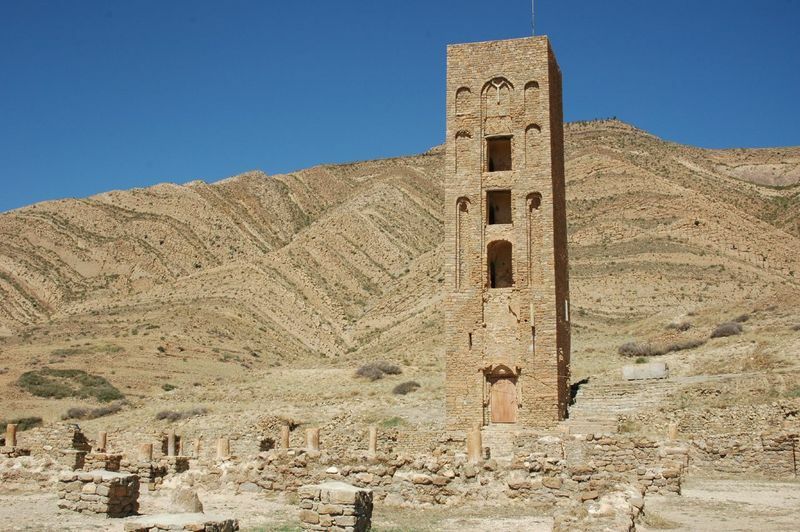 In was abandoned in 1090 under a threat from the Arabian tribal confederation Banu Hilal and was partially destroyed in 1152 by the rulers of the Almohad Dynasty. The remains of the main palace, Dal al-Bahr, include three residential chambers separated by ornate pavilions and gardens. 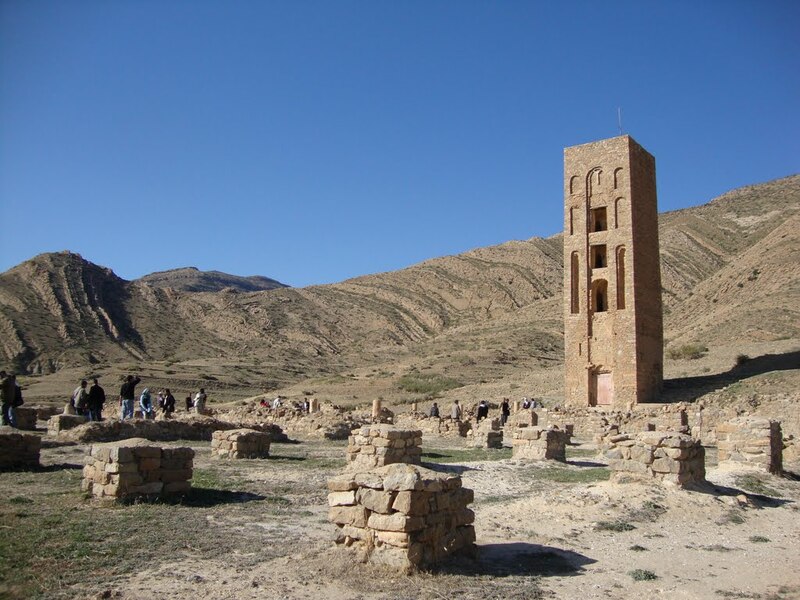 Named for the rectangular pool inside it, the Dar al-Bahr measured 67m X 47m with the pool having an elaborate ramp at one for launching boats. 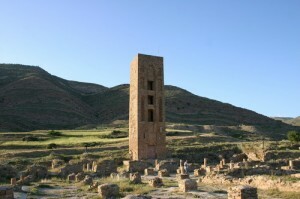 Surrounded by a portico, the pool had an enormous decorated entrance on its east side. 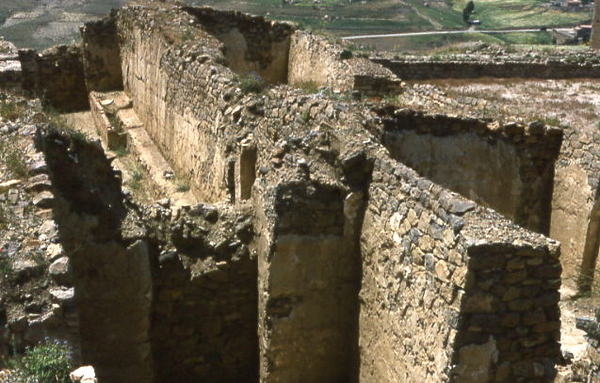 The fortress was surrounded by thick walls with gardens extending over an area of 100m outside these walls.